I wrote the following letter to a friend of mine. With his permission (and some editing to protect identities), I would like to share it with you. How wonderful to refer to you in that way! I saw the photos of your ordination, but rather than send an email, I decided to write you a letter. Something about the tactile, physical nature of paper does you more honour, I believe, than something written electronically. We know each other, though perhaps not as well as we should. Perhaps in the years to come, we can have opportunities to spend more time together and you can truly become my brother and sister in Christ. In the meantime, I am going to presume on our acquaintance and share some of my very limited experience, garnered over the paltry six years of my priesthood. No doubt the “old guys” will offer you their two cents worth, if they have not done so already. 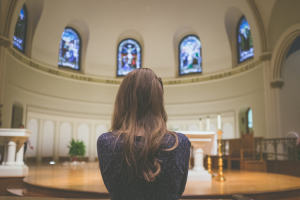 As a priest both young in age and experience, I don’t have much to add to their words except the freshness of my memories of these early years of ministry. You didn’t asked for this, so please feel free to take what you like and leave the rest. 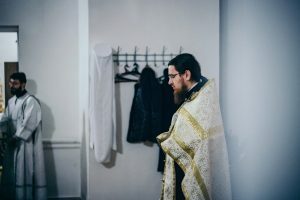 On the night before my ordination, a priest friend of mine called me up and said, “Father Deacon, do you know why you are being ordained?” Dutifully, I replied that I did not know. “Because,” he said, “it’s the only way that God can save you.” I will always remembered those words, and I share them with you now. I entered the priesthood for personal reasons that I now recognize as vain and prideful, almost entirely driven by self. As time has gone on, I have repented of and have been chastised for my vanity. I continue in the priesthood no longer on the basis of those illusions, but on the basis that in this context, God is saving me somehow. In the years ahead, you will struggle with ministry. It will be excruciatingly painful and difficult. It will be intensely lonely. You will lose people and their loss will break your heart and torment your conscience. Your parishioners will hurt you and treat you callously, often out of the best of intentions or simple ignorance. As a Canadian priest, you will struggle with meagre growth and secularism in your communities. You will struggle financially. Your marriage will be tested to the breaking point. You will struggle to keep your children in the faith, especially when they experience much of the brokenness of the Church from the inside. I say these things not to depress or discourage you, but to remind you that in the midst of all that, to remember what one lovely parishioner reminded me: “You did not choose me, but I chose you and appointed you that you should go and bear fruit and that your fruit should abide” (John 15:16) I would strongly suggest that you frame these words, and hang them in your office. When, in the sufferings and struggles of the past six years, I have been tempted to wonder why I should continue, I remember that despite my own foolish choices and motives, in the end He chose me for His purposes, not mine. In the area of parish life, I am still learning, but there are a few hard lessons that I already know well. First, don’t try to be your parishioners’ friend. My wife and I fell prey to this temptation, and heartbreak was the result. In addition, the people whom we befriended are less committed now than they were, partly because of the hurts incurred in crossing those boundaries. It just doesn’t work. Take it from me. Second, treat them very gently. I have found that most people, at heart, really don’t like themselves and punish themselves far more than we ever could. I have learned to assume that this punishment is already taking place within them, and to err on the side of gentleness. In addition, people tend to fall very easily into Pharisaical behaviour. They would rather keep religious rules than do the work of exposing themselves to the intimacy of a real relationship with Christ. With that in mind, I have come to downplay rules whenever I can, and urge people to seek relationship, particularly in the realm of daily quiet inner prayer. Third, try not to die on the wrong hill. 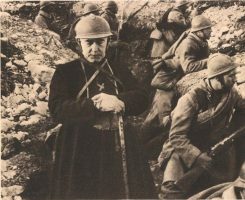 As a young priest, I want to fight every battle and win, mostly because I want to prove (to others, but mostly to myself) that I really am The Priest In Charge. I am learning slowly that most hills are not worth dying on. I have therefore chosen a handful of issues—Sunday attendance, regular prayer, regular fasting, regular confession—about which I am willing to battle, and left the rest to sort itself out. I want to end with what I believe is the most valuable piece of experience that I have to share: health first, family second, Church third. I have known some brilliant young priests out there who promoted a different order than the one I have given. Some of them have lost or are on their way to losing their priesthood. In this, I beg you: keep the priorities straight. Your health—not just physical but also spiritual and emotional—are the most important assets of your priesthood. You cannot give what you do not have. Every morning, I spend five minutes saying some prayers, five minutes in quiet meditation, and five minutes sharing my passions and temptations with an elder in the faith. On this basis, I have maintained some semblance of spiritual sanity. In addition, take care of your physical health: exercise daily (I am terrible at this), eat right (I am lousy at this) and enjoy some consolations regularly (I am too good at this). Without my marriage and family life, my ministry would not survive, period. I go out every week with my wife. It doesn’t have to be expensive: tea at Tim Horton’s and a board game. Once a month we go for supper. I try to spend time with my children, and I am still working on this. I have established some regular times when I can take my older children out by themselves. Whatever you decide to do, it comes down to the same thing: after your own health, they come first. More importantly, they need to see you putting them ahead of your parishioners. Although I haven’t seen this yet, my sense is that if this does not happen, your family (and especially your children) will come to resent the Church. Please, please, please put them first! That’s all I have. I apologize if I descended into lecturing during the course of this letter. Please take it in the spirit of love in which it was offered. I am truly grateful to God for this event in your and your wife’s life. May God truly save both you and your family and grant you a eternal crown for your labours on the Last Day.